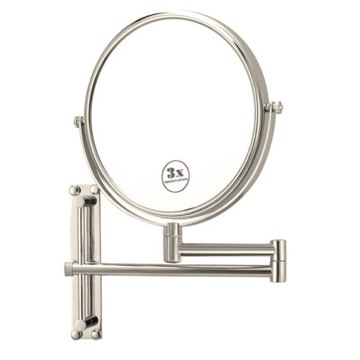 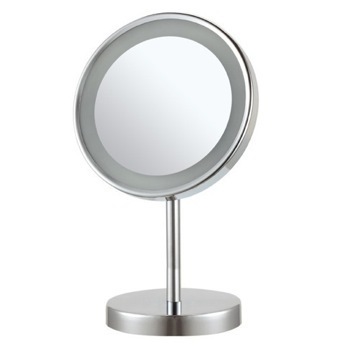 Double faced 3x magnification makeup mirror made from high quality brass. 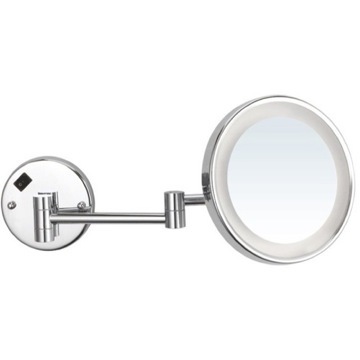 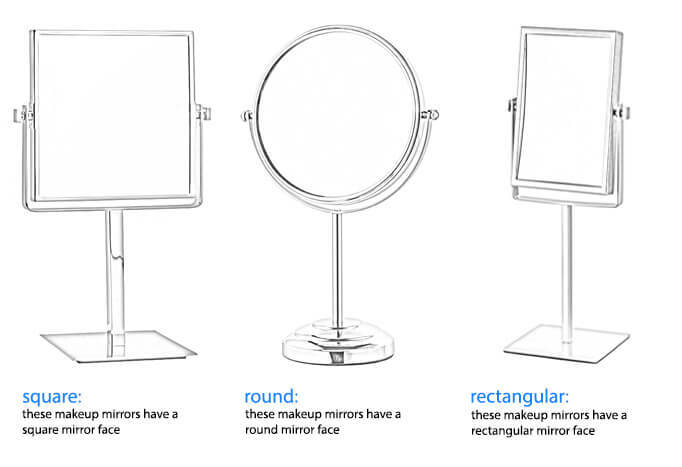 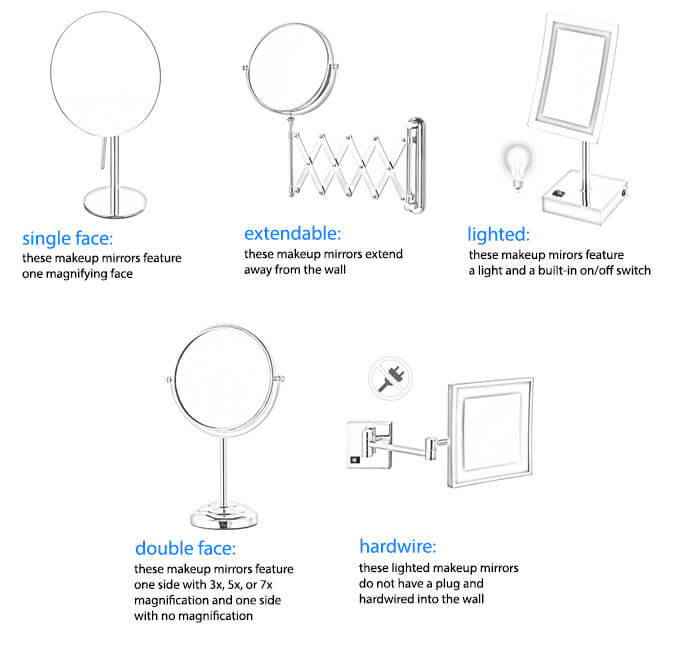 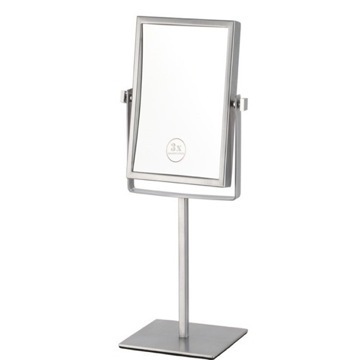 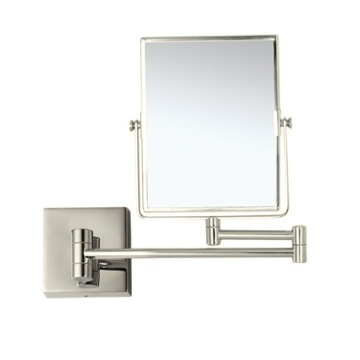 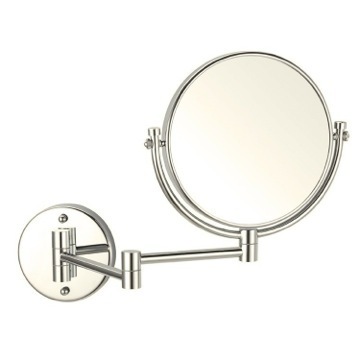 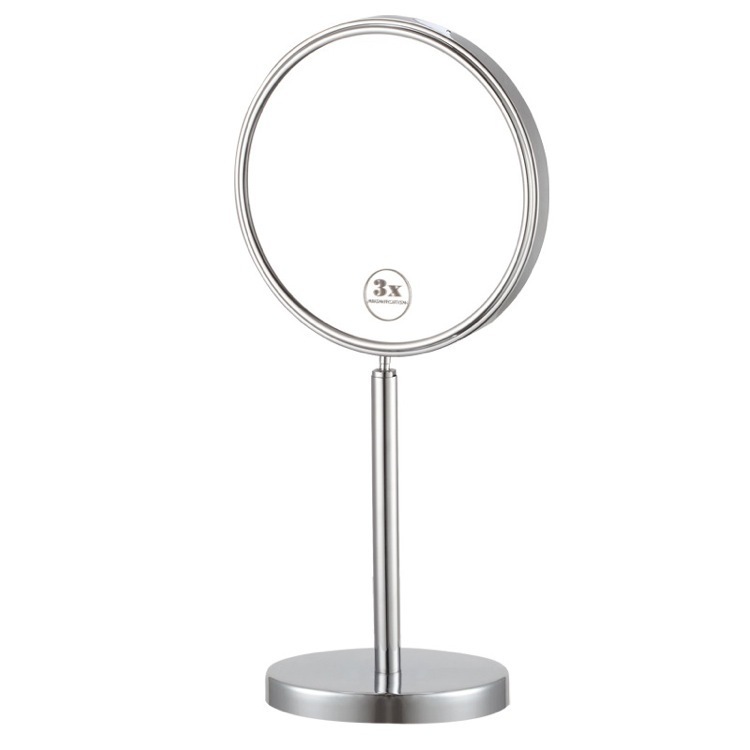 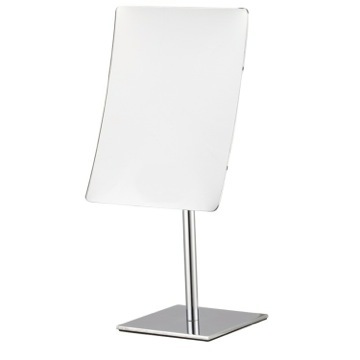 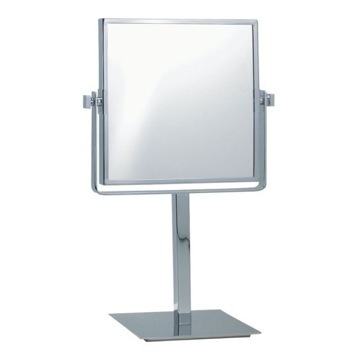 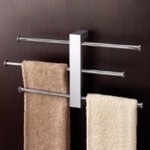 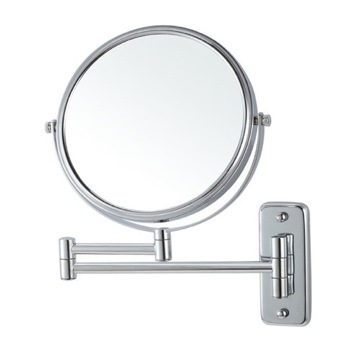 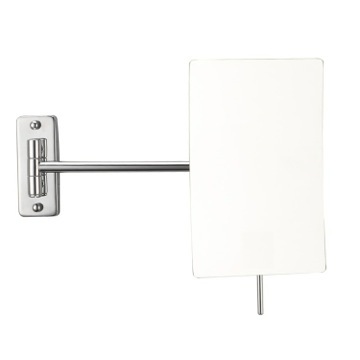 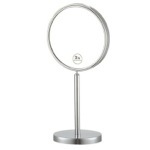 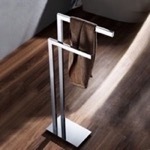 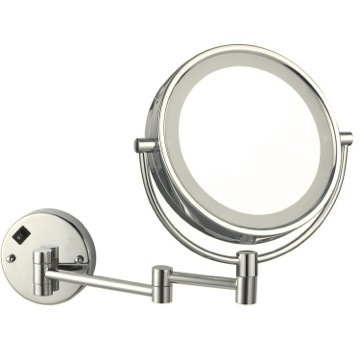 This round, free standing mirror is available in chrome. 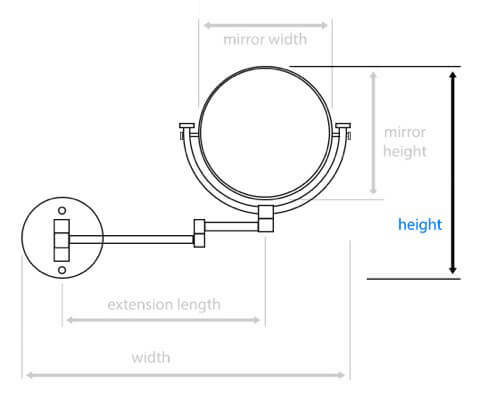 Is it LED or incandescent? 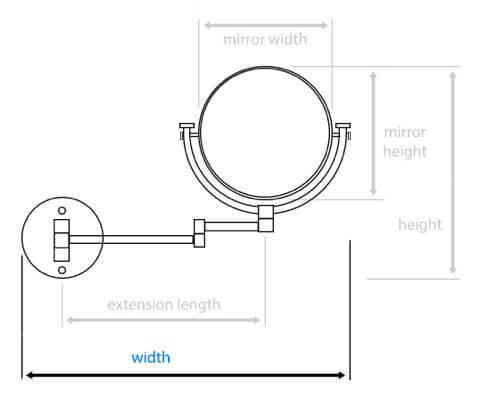 How bright is the lighting? 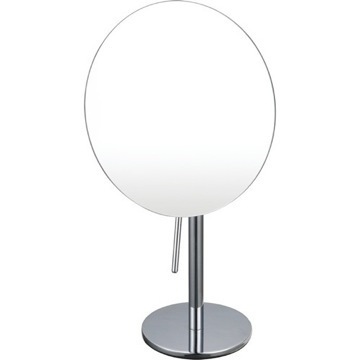 Regrettably, the mirror is not lighted. 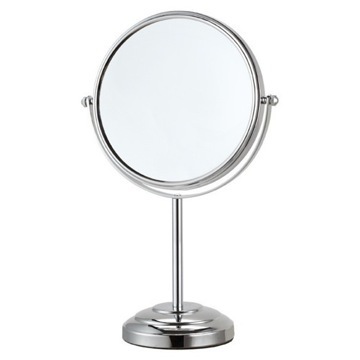 Does the post extend to make the mirror higher? 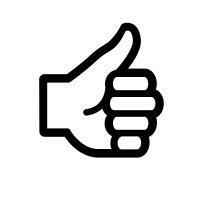 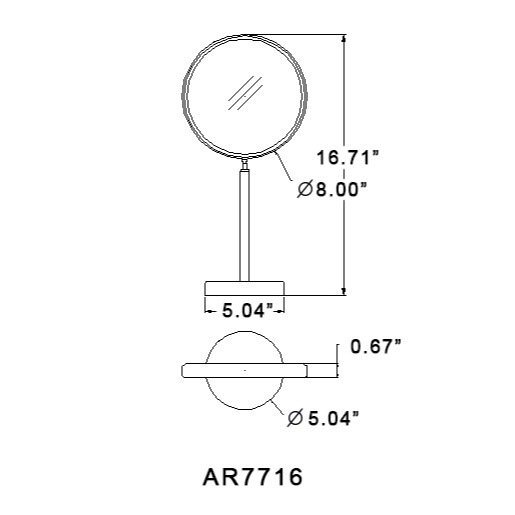 Unfortunately, this item's post is not adjustable. 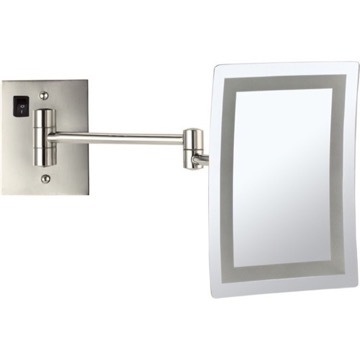 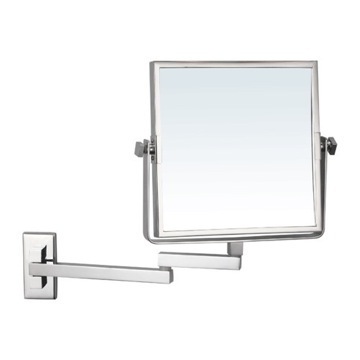 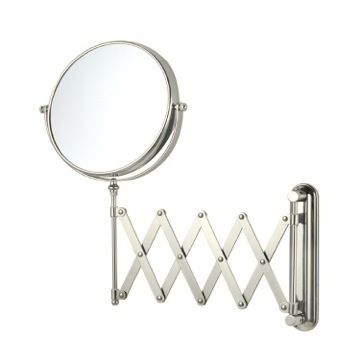 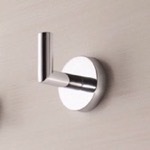 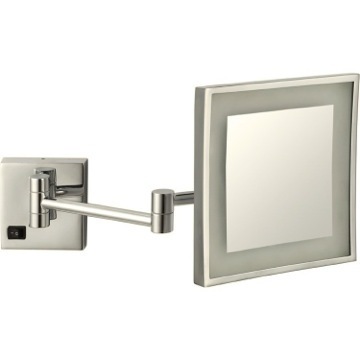 Does the mirror swivel? 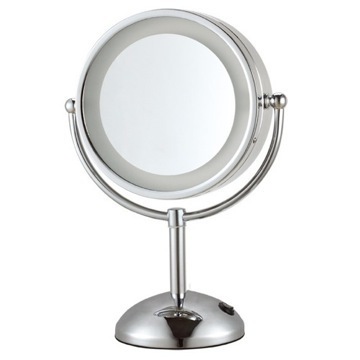 It looks like there's a ball joint at the base of the mirror. 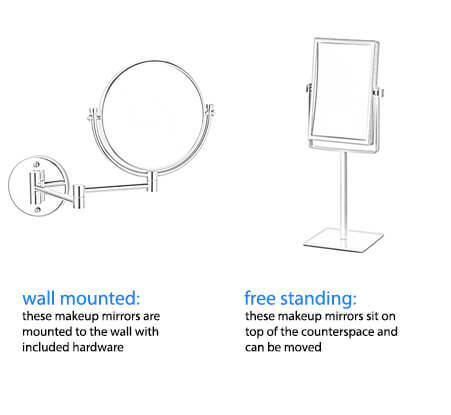 The mirror will rotate at the top with a ball joint. 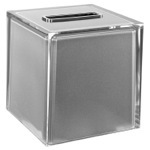 The base will be stationary during any rotations. 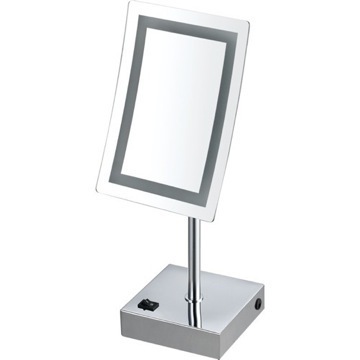 This item is cordless, as it does not feature any electrical attributes such as a light. 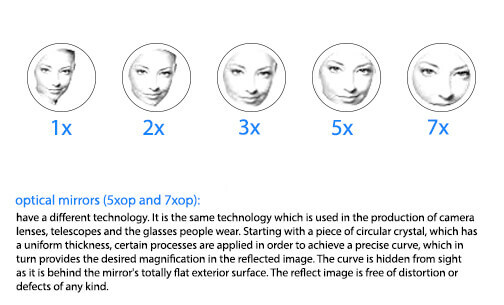 Is the other size not magnified? 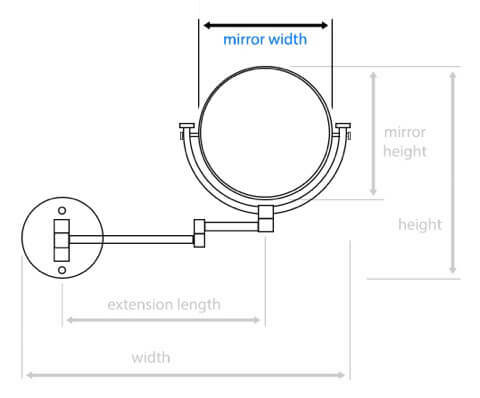 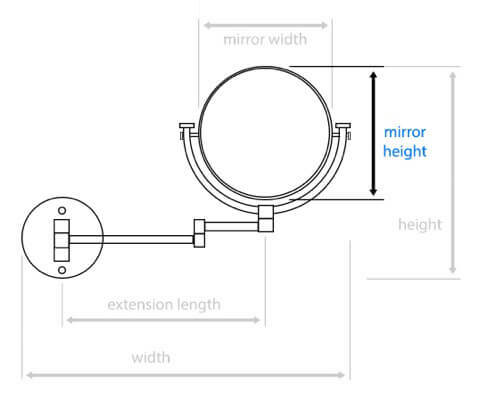 One face of the mirror is a standard 1x magnification, while the other face of the mirror will be 3x magnification.